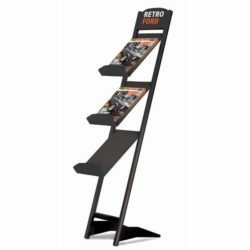 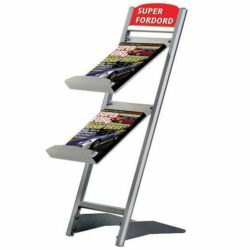 Packing Size: 11.02" x 41.73" x 2.17"
This literature rack has a contemporary and stylish look that will blend into the design of any business environment perfectly. 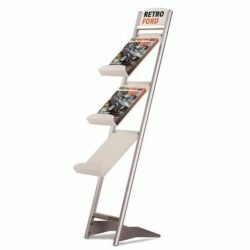 This brochure displayfeatures very sturdy powder coated feet, silver anodized finish aluminum construction and very elegant, sophisticated frosted acrylic shelves. 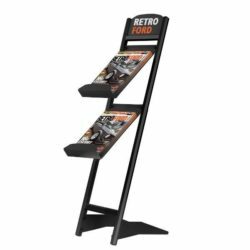 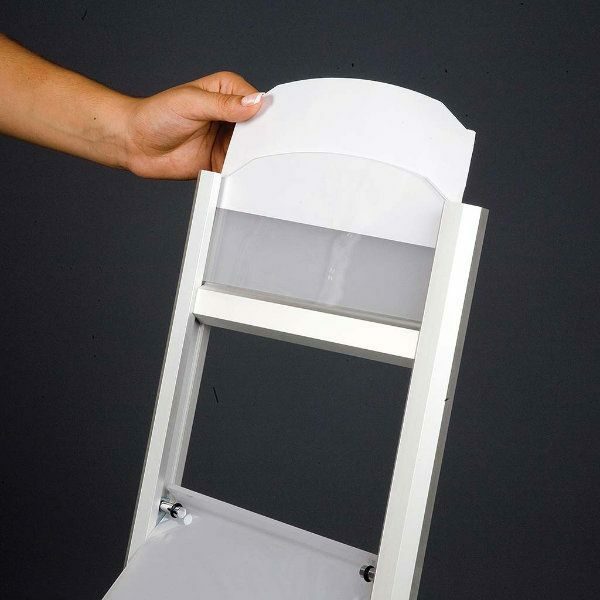 Shelves can be mounted on the construction easily and can hold your 8.5” x 11” poster size literatures or brochures. 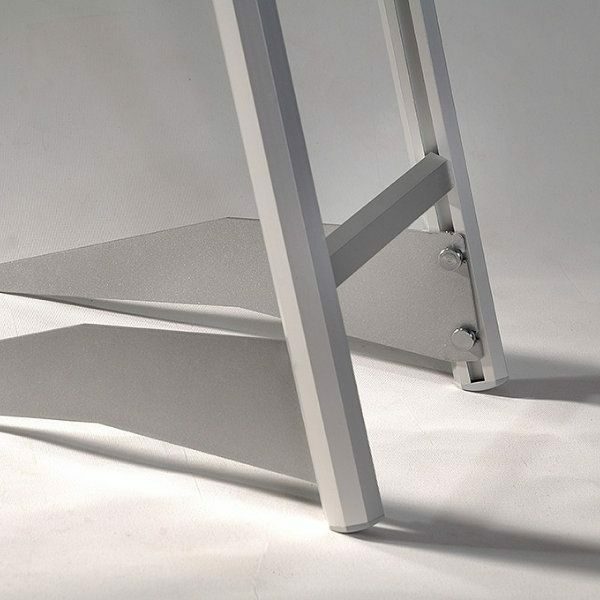 Another feature is the header. 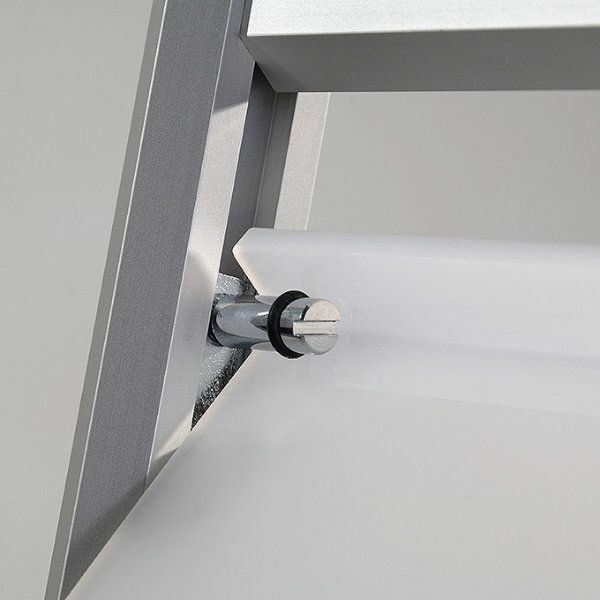 Header consists two pieces of acrylic that the frosted is at the back and clear piece is in the front for a clear view. 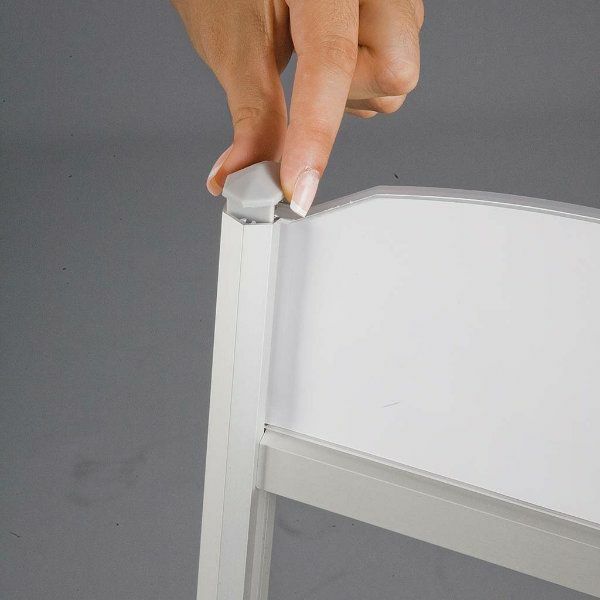 Just slide your insert between these two pieces. 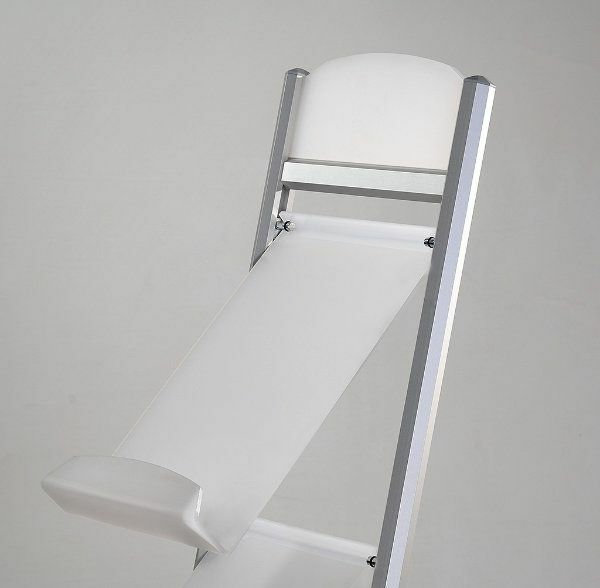 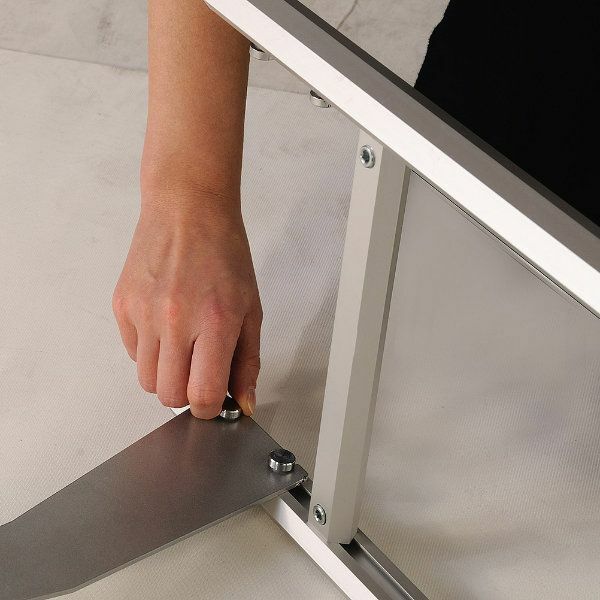 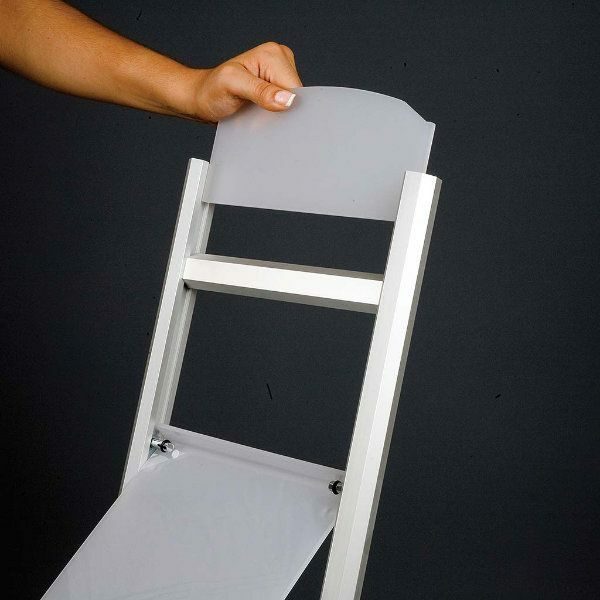 Required mounting hardware and instruction sheet come with the product and assembling only takes a couple of minutes.